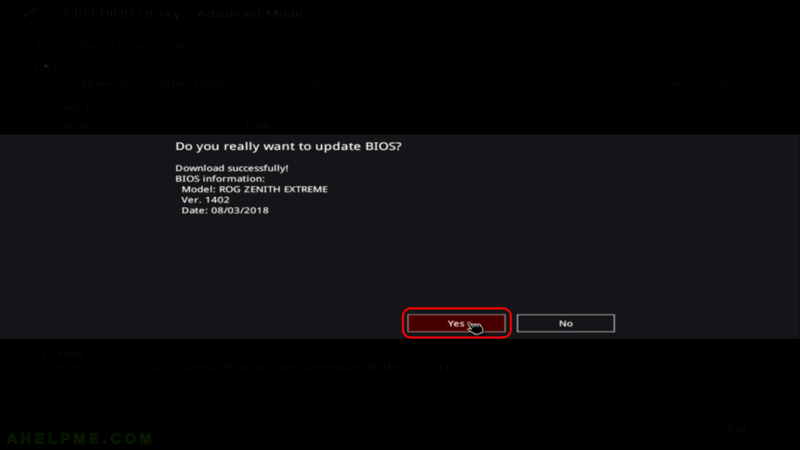 Update BIOS motherboard ASUS Zenith Extreme x399 | Any IT here? Help Me! 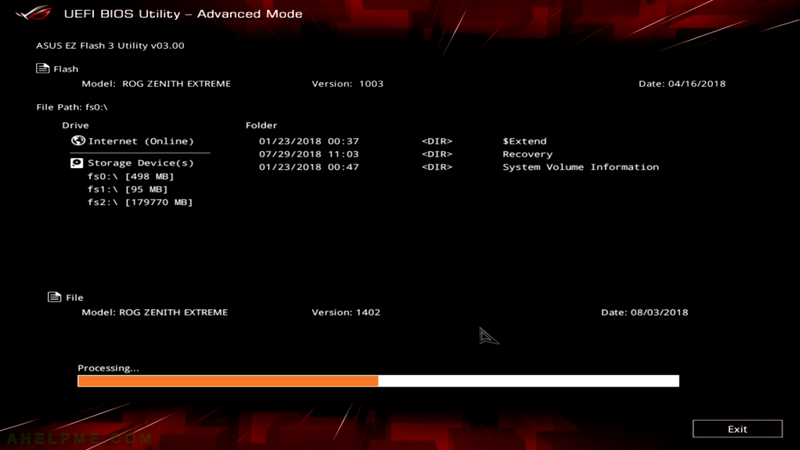 which is started from the BIOS and it could read your NTFS or FAT filesystem to locate the update firmware file or the easy way to get connected to the Internet, check, download and install the update if any! 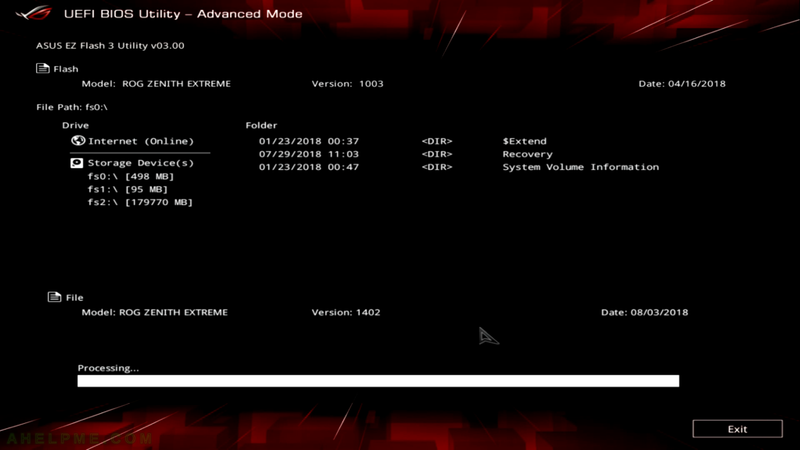 So here some screenshots to how to perform the update from 1003 to 1402 – it is easy and safe just couple of reboots needed – total of 4 (but in your case may vary). 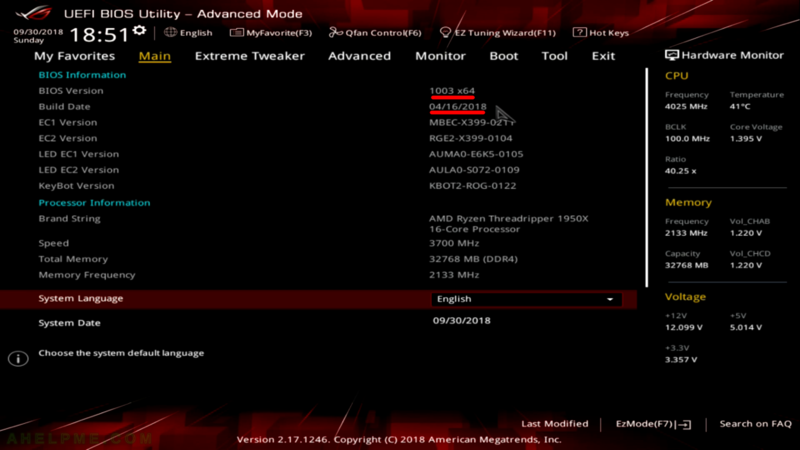 STEP 2) By default you are in Main Menu where you can see the BIOS Version, which is 1003 x64 and Build Date – 04/16/2018. 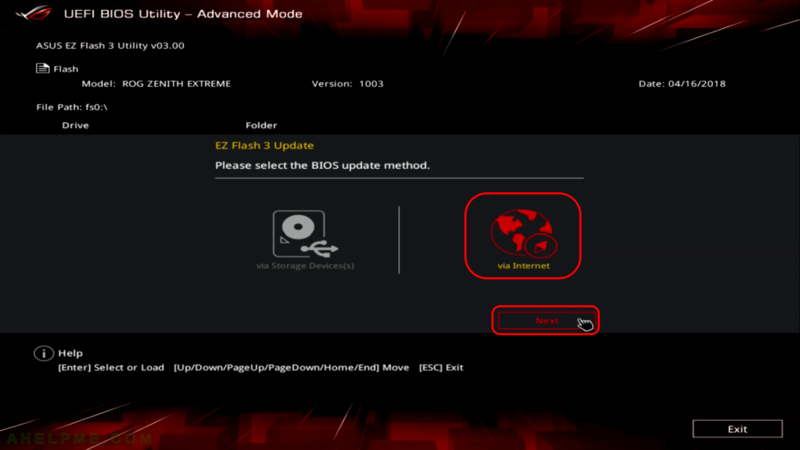 STEP 3) Click on Tool and you’ll enter Tool menu where you have several options including Asus EZ Flash 3 Utility, which is the utility used to flash your BIOS. 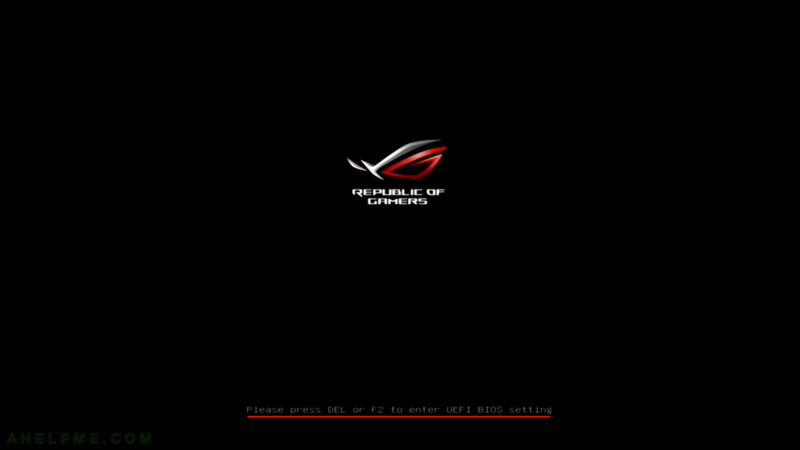 STEP 4) Click on “Asus EZ Flash 3 Utility” to enter the utility. 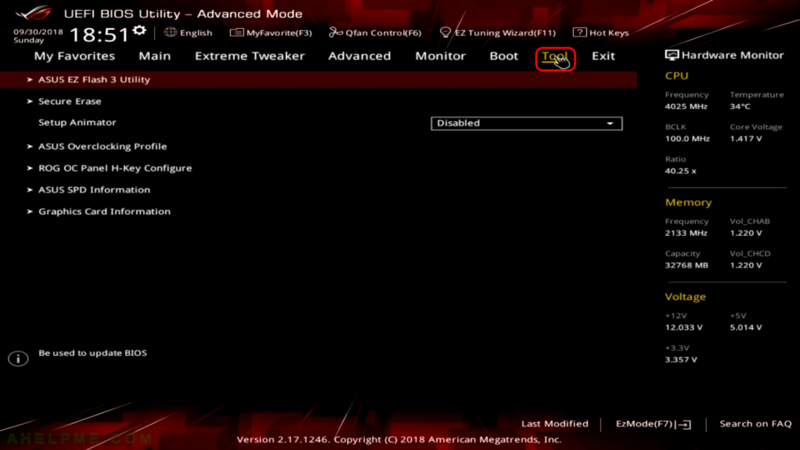 Some versions or states your computer might reboot and enter directly again in the “Asus EZ Flash 3 Utility”, do not worry it is normal. STEP 5) You have two options to locate the update file in your hard drives and to let the utility to connect to the Internet and check and download the firmware automatically. So clock on “via Internet” and then on the button “Next”. 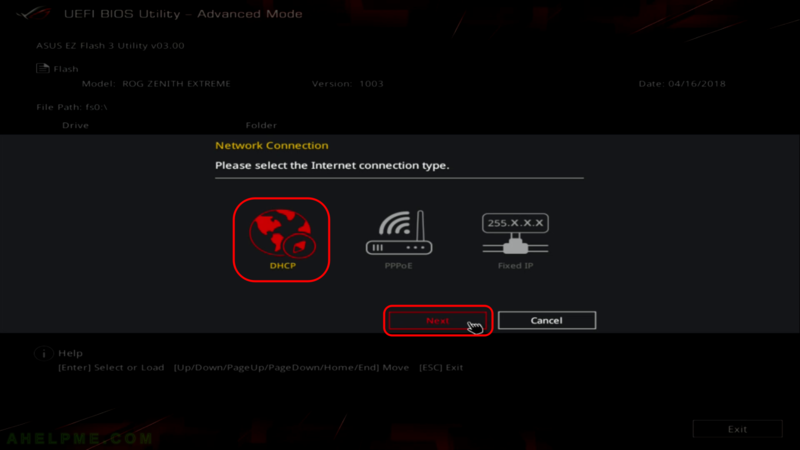 STEP 6) In most of the time you are behind router, so click on “DHCP” and then click on “Next”. As you can see there are two other options you can use – PPPoE and Fixed IP (manual network configuration) – they are beyond the sope of this article. 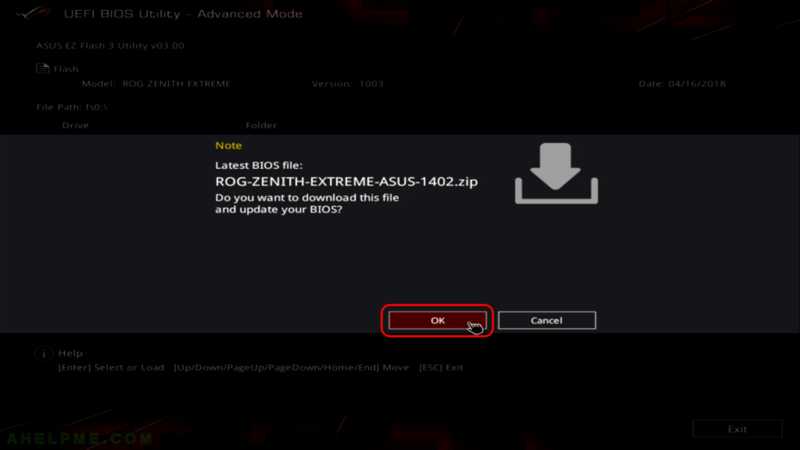 STEP 7) The utility found an update and offers us to download the firmware file – ROG-ZENITH-EXTREME-ASUS-1402.zip. Click “OK”. STEP 8) A confirmation the download is successful and a conformation is required from the user to continue with the update process. STEP 9) The flush process is in progress. Your mouse could freeze, your keyboard might not work, it is OK, do not restart just wait for the progress to turn into orange. STEP 10) The flush progress is around 50%.